I remember when I first saw these design-your-own-kite models in the HQ Kites and Designs booth at the Toy Fair. I remember being so surprised and I think my eyes started an argument with my hands. Basically, my eyes kept seeing paper but my hands were feeling fabric. I didn't understand it. But still, I kept rubbing it between my fingers. It was unreal. It was strong. Clearly this was one of those things that kids make at parties as part of the entertainment and yet it was beautiful and sturdy. 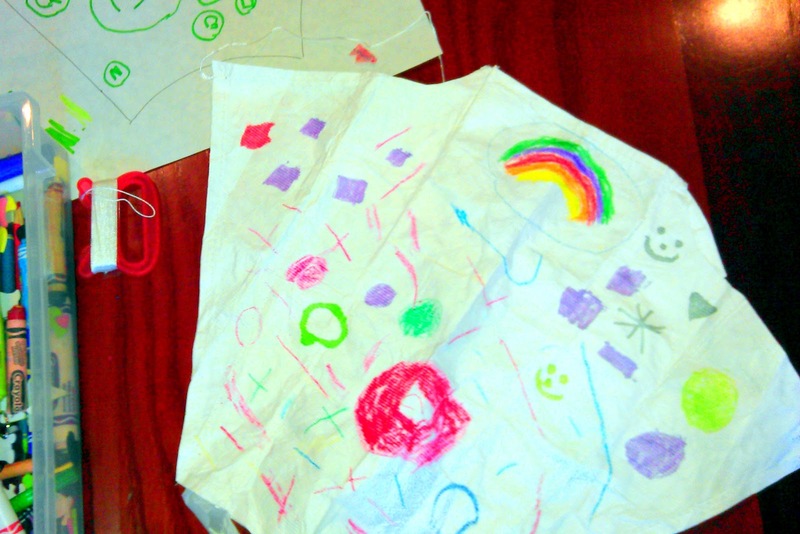 Could it really be a kite that kids could design but not end up in the garbage by the time the party ends? These are real gifts to children. They make for an excellent beach playdate or party. I say beach because if you have a birthday party on a non-windy day then you might have a tough day if you have no backup plan. However, if you are at the beach, I have a feeling things can be a little easier. The material on the Sleddy is called Tyvek. It was invented over fifty years ago and is very much akin to really strong but flexible envelope the United States Post Office uses for Priority Mail. Hopefully you know what I'm talking about. It actually feels softer than that but believe me, it is very tough. Number 2 had a blast designing his kite. I wish I could have you feel Tyvek. This material is used by mechanics to protect them from oil and fuel. It also has high non-combustibility rating. And now it is known as a really neat toy! Awesome! Coloring on them was a welcome challenge to my five year old. He found that he needed to spread out the material with his fingers to make the desired marks but my kid wanted so much to design his kite, he couldn't care less. He covered every inch with a picture or a pattern and worked diligently as he decorate his kite. I was really proud of him. He draws a lot now but at the time, I would have to move mountains to get him to use crayons. We found that markers worked really well and brought out brilliant colors. The Creative Eddy (the kite that looks like a diamond) is also fun to decorate and looks like the kites of which I am more familiar. Number 3 decorated it with a Pokemon. 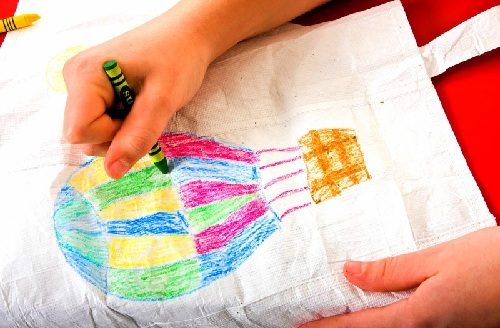 She had a blast decorating it with just simple coloring pencils. This is a real treat for kids. Kids are so excited to try out their designs. I bet our 3D Fabric Paint would work well here. The owners of the Creative Eddy and the Creative Sleddy all had a chance to try the Sleddy from Wednesday's review. Of course, they all preferred the Sleddy. It can't beat the Sleddy in terms of performance but it does hold its own. Vanessa Garza, Administrator in Residence at Green Dot Schools and former Director of Family Science at Iridescent Learning also took a look at these two kites as well. She felt that both were great for novice fliers and could be used in flexible weather conditions. I gave the Creative Eddy to Number 3 who is 13. It definitely can be appropriate for older elementary grades. 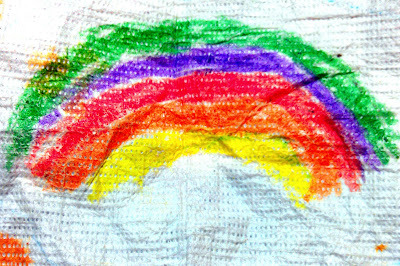 The Creative Sleddy seems appropriate for preschoolers and kindergarten because the Creative Sleddy is smaller than the original Sleddy. Overall, the flying is fine but I really do marvel at the material. It's great for markers and it is hard to rip. That is awesome. Number 2 still has his creative Sleddy. I find that just marvelous. It's probably the first "party craft" that he has kept for months and month. This craft is reusable over and over again. That is also the true sign of a great craft product to me. Fly on Sleddy! Go!!!!!!! I had just seen a million beautiful kites and was about to walk away from the booth but then I saw the Tyvek on these kites. I was fascinated. There are six Sleddy kites to give away. Don't miss. Click Here to go to the first review on Sleddy's and we've tacked on a new question in light of this new review. That beats the paper lunch bags that I used to fly with Liam when he was little!